The BC Entrepreneur Program provides an opportunity for qualified individuals and families to move to the Canadian Province of British Columbia and operate their own small business. The program is part of the British Columbia Provincial Nominee Program (BCPNP) and is best suited for experienced business owners and managers who have the financial ability and knowledge to create or improve a Canadian business. The program's objective is to stimulate economic growth and create jobs in British Columbia. Immigrant entrepreneurs who are selected to participate in the program are given a two-year work permit. While that permit is in effect, an entrepreneur must actively manage his or her business for at least 18 months. Participants who successfully complete all BC business immigration requirements will become provincial nominees, making them and their family members eligible for expedited permanent residence in Canada. It is expected, but not required, that provincial nominees will continue to operate their business while living in British Columbia. To participate in the British Columbia Investor Program, an entrepreneur must be able to invest at least CAD $200,000 in a new business or, in some instances, an existing business that the applicant plans to improve. 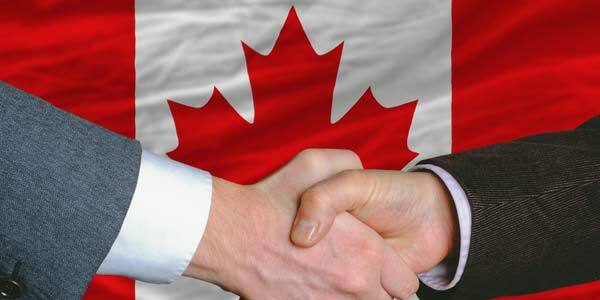 The business must create at least one new job for a Canadian citizen or permanent resident. The registrant must live near the business and manage the operation on a daily basis. Prospective immigrants who wish to be considered for the BC Investor Program should follow these steps, all of which are explained in greater detail below. Not every person who registers for the BC Entrepreneur Program is invited to apply. It often helps to have legal advice and other professional assistance to present information in a way that will maximize your applicant score. The BCPNP assigns a score to every British Columbia business immigration registration. Points are assigned to registrants based on a number of factors. Eligible entrepreneurs who have the highest scores are invited to apply. It is therefore important to understand the scoring factors when deciding whether to register. Prospective applicants may also be able to improve their score by taking certain steps before registering. Think the British Columbia Immigrant Investor Program might be right for you? Contact us today for a free confidential consultation. To be eligible for business immigration to British Columbia, registrants must meet three conditions. Each eligibility requirement is important. Unless each one is satisfied, the BC PNP will not invite the registrant to apply for the Investor Program. Entrepreneurs should therefore be certain they can meet all three qualifications before registering. Eligibility requirements to live in Canada also apply to the entrepreneur's spouse and dependent family members if they will also be seeking a visa pursuant to the Entrepreneur Immigration Program. For eligibility purposes, a spouse includes a common-law partner. Entrepreneurs who are unsure whether or not their unmarried partner would qualify as a common-law partner should seek legal advice. In some cases, an immigrant entrepreneur can also obtain a Canadian Work Visa for a key staff member. The requirements to bring a key staff member to the province are discussed in more detail below. To be eligible for the Immigrant Investor Program, an entrepreneur must be a citizen or legal resident of the country where he or she presently resides. In addition, the entrepreneur must be qualified to enter and work in Canada. A number of factors might prevent an entrepreneur from living or working in British Columbia. An applicant is likely to be disqualified in the following situations. Sometimes the distinction between an indictable offense and a summary offense is not easy to understand. A potential immigrant who has a criminal record or who was suspected of committing a crime should seek legal advice to determine how the crime or conviction will be viewed under Canadian law. Canadian law creates opportunities for immigration despite certain disqualifying factors. The passage of time or evidence of rehabilitation can, in some instances, restore immigration eligibility. An entrepreneur who has concerns about immigration eligibility should obtain legal advice before proceeding with registration. To be eligible for a British Columbia Investor Visa, a candidate must have a personal net worth of at least CAD $600,000. "Personal net worth" refers to the total value of all the assets owned by the entrepreneur and his or her spouse, minus the total debts that either of them owes. All assets must have been legally acquired and must be held in the name of the applicant or his or her spouse. An expectation of receiving a future inheritance does not qualify as an asset. If you are willing to invest in a small community in British Columbia (as opposed to a major city such as Vancouver or Victoria), you can qualify with a net worth of only CAD $300,000. Registrants who are invited to apply for investment immigration to British Columbia will be required to establish the source and value of their assets. Necessary proof might include the following. To establish that the assets were acquired legitimately, the entrepreneur will need proof of the source of those assets. Examples of legitimate sources of assets include proof of an inheritance or gift, earnings from a business, and income from property sales. A Canadian immigration lawyer working with the candidate's financial advisor can help assemble the documents that are needed to establish his or her personal net worth and the source of their assets. It is important to assure that the documents will withstand scrutiny. If an investigation by Immigration British Columbia determines that property values are substantially overstated, that claims of property ownership are falsified, or that outstanding debts were not disclosed, the potential immigrant will not be invited to apply for the program. If fraud is discovered after the BC Investor Program application is made, the entrepreneur will not be approved for the program. Any BC Investor Visa that has been issued in reliance on the person's false representations may also be revoked. Making a false statement to the Canadian Government may also affect future eligibility for Canadian immigration and could even result in criminal prosecution. The more experience a person has with business management, the more likely it is that he or she will be invited to apply for the BC Entrepreneur Program. Experience within the past ten years is particularly valuable. An "active owner-manager" is someone who, during the past ten years, owned at least 10% of a business and played an active role in the management and operation of the business. A "senior manager" is someone who has no ownership interest (or less than 10% ownership) in a business but, during the past ten years, played an active role in the management and operation of the business. A senior manager must be responsible for supervising at least three full-time employees. An "active role" generally means having hands-on daily responsibility for making policy decisions about the business. An active role requires more than attendance at shareholders' meetings. An owner-manager or senior manager must have day-to-day responsibility for making business management decisions. When British Columbia immigration officials assess a registration, they will decide whether the candidate's past work experience has provided "transferable skills." As a general rule, the closer past business experience matches the kind of business the individual proposes to operate in British Columbia, the more likely it is that the BCPNP will conclude that their work skills can be transferred to the new business. In addition to assigning points for prior business management experience, the British Columbia PNP awards points for several "adaptability factors." These factors are intended to assess the likelihood that an immigrant entrepreneur will adapt successfully to life in Canada. Adaptability factors are different from eligibility requirements. The only requirements that must be satisfied in order to be considered for the investor immigration program are the eligibility requirements discussed above. Scoring well on adaptability factors, however, increases the likelihood that a candidate will be invited to apply by the BCPNP. An immigrant entrepreneur is not required to be proficient in English, but the ability to speak English is a factor that affects the registrant's score. At the initial registration stage, no language test scores need to be submitted. The registering businessman or businesswoman is asked to self-assess his or her English language skills. Proof of those skills in the form of test scores may be required later if the candidate is invited to apply for the program. The Centre for Canadian Language Benchmarks provides information about the degree of English language proficiency (including reading, writing, speaking, and listening) that is generally expected for work in various industries. Prospective immigrants who may not be able to meet those benchmarks should consider taking an intensive course of English language instruction before registering for the BC Entrepreneur Immigration Program. Candidates for the British Columbia Investor Program are not required to meet a minimum education requirement, provided they were the sole owner of a business that they actively managed during three of the last five years. If that requirement cannot be met, program registrants are required to have at least two years of post-secondary education. "Post-secondary education" refers to a degree or certificate program from a licensed post-secondary educational institution. A school that offers only language training will not satisfy this requirement. A year of post-secondary education means the completion of two consecutive semesters. Two years of post-secondary education is the minimum requirement for candidates who do not meet the business ownership standard, but immigrant investors may receive additional points if they have completed more than the minimum educational requirement. Previous work experience in Canada is regarded as a plus. Points are awarded to registrants who have legally worked in Canada for at least 12 consecutive months at any time during the previous ten years. BC Entrepreneur Program candidates are also awarded points if they have attended an educational program in Canada. To qualify, the registrant must have been enrolled for at least 12 consecutive months in a secondary or post-secondary educational program. The 12-month period is intended to refer to a full school year, including breaks and holidays. Attendance for two consecutive semesters will generally entitle the registrant to points. However, no points are awarded if the program consisted solely of language instruction. The BCPNP gives points to potential business immigrants who have previously visited British Columbia. Familiarity with the province is viewed as a plus. Registrants will be asked to identify the cities they visited in BC as well as the dates of their travel. By participating in BC's Entrepreneur Program, the main applicant and his or her spouse and minor children will each receive a BC Investor Visa. The primary applicant can also propose to bring one key staff member to work in the business. That proposal will be approved only if the key staff member is essential to the success of the business. Approval allows the key staff member to obtain a BC Entrepreneur Visa and to be nominated for permanent residence if the entrepreneur successfully completes the performance agreement. A key staff member cannot own more than 10% of the business. The key staff member may acquire partial ownership of the business as part of the staff member's compensation, but that compensation arrangement must be specified in the employment contract and cannot result in more than 10% of total ownership. The requirements for approval of a key staff member are difficult to meet. In addition, if a key staff member is approved, different requirements for business investment and job creation will be imposed on the entrepreneur. Those requirements are discussed in more detail below. The entrepreneur may register with another entrepreneur to open or acquire the same business. In such cases, each registrant must meet the individual eligibility requirements discussed above and the approval requirements discussed below. It may not be advantageous to have a co-registrant unless both are well qualified for investor immigration. The BC PNP will score each registrant separately and will then assign the lower score to both registrants. That could result in the rejection of an entrepreneur who would have been invited to apply if the registrant had not co-registered with another entrepreneur. To be approved for a BC Investment Visa, a potential investor will need to satisfy the British Columbia PNP that certain requirements concerning the business, job creation, and the entrepreneur's residence will be satisfied. After approval, the applicant will be required to demonstrate to BC immigration officials that all these stipulations were satisfied before Canadian PR will be approved. In 2019, the British Columbia PNP launched a new business immigration program to facilitate the settlement of immigrant entrepreneurs into less populated communities in the province. To qualify for this program, prospective entrepreneurs must make an exploratory visit to one of these small communities (must be less than 75,000 people) in order to obtain a community referral which is required in order to register with the BCPNP. If you are interested in immigration to Canada through the BC Investor Program but do not have enough money in the bank to qualify with a proposed business in Vancouver, this might be a great opportunity. Wealthy individuals interested in Canada business immigration often compare the various entrepreneur and immigrant investor programs available across the country. The Quebec Immigrant Investor Program (QIIP) is perhaps the most famous Canadian investment immigration program. There are two major differences between the Quebec Investor Program and the British Columbia Entrepreneur Program. First and foremost, the Quebec Immigrant Investor Program is intended for individuals and families interested in living in the Province of Quebec, while the BC Investor Program is for prospective immigrants who wish to move to British Columbia. The other major difference is that the QIIP is a passive investment immigration program while the British Columbia Entrepreneur Program requires the active management of an eligible business once a participant comes to Canada. People interested in entrepreneur immigration to British Columbia have two investment options. The entrepreneur may establish an entirely new enterprise, or may purchase an existing business. A proposed business can be a brand new startup or a partnership with an existing business. The immigrant entrepreneur can be the sole owner of the business or can own it in partnership with a Canadian or foreign entrepreneur. Business partners must be identified during the registration process. If the entrepreneur purchases an existing business, he or she must improve, upgrade, or expand the business. The investments that are required in an existing business are discussed in the "Business Investments" section below. The entrepreneur can open a franchise as a new business. In general, the BC PNP will give more favorable consideration to a franchise that is well-established. The entrepreneur must be eligible to purchase and operate a franchise location. Obtaining pre-approval from the franchiser is, therefore, essential if the aspirant wants to open a new franchise location. The entrepreneur can also buy an existing franchise location, but must improve, upgrade, or expand the franchise. To obtain BC PNP approval, the entrepreneur will need to demonstrate that the improvement, upgrade, or expansion is consistent with the franchise agreement. When registering, the potential immigrant will need to describe the business that he or she proposes to operate. The requirements for that description are discussed in more detail in the "Business Concept" section under the "Registration" heading below. The business that the candidate describes in the British Columbia Investor Program registration must be the business that the he or she actually pursues. The entrepreneur may not change the nature of the business after registration in order to obtain approval. If approval is granted, the entrepreneur must adequately operate the approved business in order to be eligible for nomination for Canadian permanent residency. The British Columbia Provincial Nominee Program will only approve an investment in an eligible business. It is important for interested parties to understand each of these BC business immigration requirements. Candidates that propose an enterprise that does not satisfy these requisites will not be approved for the Investor Program British Columbia. The BCPNP wants to attract investment in areas that do not already have a substantial number of employers. Proposing to locate the business in a smaller community will, therefore, add points to the registration score. In addition, opening a business in a market that is already well served by similar businesses will be disadvantageous because Immigration British Columbia is less likely to view those businesses as contributing to economic growth. For example, a proposal to open a convenience store or a gas station in a market that has many similar businesses will not be scored as highly as a proposal to open a unique business or one that offers goods or services to a community that the community needs. In general, businesses that are proposed for the Vancouver area are the most difficult to get approved under the Entrepreneur Program. Businesses in certain industries receive extra points when business immigration officials scores a registration because they are considered more likely to contribute to the economic growth of British Columbia. Entrepreneurs may, therefore, want to consider developing a business in one of those industries. Entrepreneurs may want to seek professional assistance in designing a proposal that will be viewed as economically beneficial to British Columbia. Businesses related to future technologies, such as digital assets (bitcoin and other crypto), artificial intelligence, and blockchain, may also be viewed positively. Partnering with First Nations communities in the province can also result in bonus points. Want to discuss potential business ideas for the BC Entrepreneur Program? Phone our team today. Certain businesses do not qualify as an eligible business for the British Columbia Immigrant Investor Program. In addition, investment schemes that raise capital to facilitate immigration to Canada may not qualify as an eligible business. Entrepreneurs should generally seek legal advice to make sure that the business in which they propose to invest qualifies as an eligible business under the BC Investment Program. The entrepreneur must own at least one-third of the business unless the entrepreneur invests at least CAD $1 million. While there is no minimum ownership requirement if the entrepreneur invests at least CAD $1,000,000 in the company, the investor must meet all other requirements of the business immigration BC program, including taking an active management role in the enterprise. The primary applicant must make a personal financial investment in the business of at least CAD $200,000 no later than 20 months after arriving in BC and receiving a British Columbia Work Permit. If the applicant is proposing to bring a key staff member to Canada, the applicant must make a personal investment of at least CAD $400,000. The investment must come from the entrepreneur's personal net worth. The entrepreneur will need to prove that the invested funds came from his or her own wealth. The entrepreneur may use financing to help fund the business, but the $200 thousand or $400 thousand personal investment may not be financed. Costs in excess of the minimum investment can be financed by the entrepreneur (whether by a partner's investment, through loans, or from some other source), but the details of the financing must be fully disclosed to Immigration British Columbia. Money in the bank is not considered an investment under the scheme, even if it is officially earmarked as "cash reserves." Rather, the investment must be made in "eligible expenditures" that relate to the business. An eligible expenditure is one that is essential to establish and operate a new business or to purchase and improve an existing business. The entrepreneur may expend funds in ways that the BC PNP does not regard as essential, but those expenditures will not be counted as "eligible expenditures." Any salary paid to the entrepreneur or to the entrepreneur's family members will not be counted as an eligible expenditure. Eligible expenditures must be invested in a single business location. They cannot be spread across multiple locations, even if the entrepreneur intends to open or purchase multiple businesses. Investments must be made after the entrepreneur is invited to apply for BC Investor Visa. Expenditures made before that date will not be counted as part of the entrepreneur's personal investment. The most prudent approach is to wait until you have signed a performance agreement with the British Columbia PNP and obtained a BC Work Permit before making any significant expenditures that you want to count as part of the official investment. Eligible expenditures for the development of a new business in British Columbia under the BC Investor Program include the following. While inventory for a new business will generally be regarded as an eligible expenditure, the initial inventory purchase must be reasonable given the size of the business and anticipated demand for the goods. In general, Investor Program British Columbia authorities will not consider more than three months of start-up inventory to be a reasonable investment. A purchase of real estate will be considered an eligible expenditure only if it is essential to the business. The BC Provincial Nominee Program is unlikely to designate a real estate purchase as an eligible expenditure if it is also used as the entrepreneur's residence. If real estate is approved as an eligible expenditure, no more than $150,000 will count toward satisfying the minimum required investment. The businessman or businesswoman will need to make additional eligible expenditures to meet the minimum required investment of CAD $200,000 (or CAD $400,000 if a key staff member is approved). A business vehicle will be considered an eligible expenditure only if it is absolutely essential to the business. For example, a delivery truck might be essential to a business that sells appliances, but a car that the owner uses to run errands would probably not be regarded as essential. Entrepreneur Program British Columbia officials are unlikely to designate the purchase of a vehicle as an eligible expenditure if the vehicle is also used as the entrepreneur's personal vehicle. If a vehicle is approved as an eligible expenditure, no more than $25,000 will count toward satisfying the minimum required investment. Payment of operating expenses will be considered an eligible expenditure during the first six months that the new business is in operation. However, if the new business consists of a new franchise location of an existing business, operating expenses will be considered an eligible expenditure only during the first three months that the business is in operation. Rather than starting a brand new business in order to qualify for British Columbia investor immigration, entrepreneurs may purchase an existing business in the province. When an entrepreneur elects to purchase an existing business, only CAD $150,000 or the actual purchase price, whichever is less, will be counted toward the minimum investment requirement. If the entrepreneur's minimum required investment is CAD $200,000, he or she will need to make up the difference by investing at least another CAD $50,000 in eligible expenditures to improve, expand, or upgrade the enterprise. The purchase of additional real estate for an existing business does not qualify as an eligible expenditure. Opening a separate business or establishing a second location for the purchased company will also not qualify as an eligible expenditure. Paying routine operating expenses of the business, such as rent or utilities, does not qualify as an eligible expenditure to improve or expand the business. While operating expenses cannot be used to satisfy the $50 thousand additional investment needed to improve or expand the business, three months of operating expenses (including wages) can be counted as part of the acquisition cost if the purchase price was less than $150,000 Canadian dollars. If the total of the purchase price and three months of operating expenses exceeds $150 thousand, however, only that amount will count as an eligible investment under the program. Paying wages to maintain existing positions will not qualify as an expenditure to improve or expand the business. However, wages paid to employees in additional, newly created positions will be regarded as eligible expenditures that expand the business. The cost of maintaining the existing level of inventory of the purchased business will not qualify as an eligible expenditure. However, the cost of increased inventory will qualify as an eligible expenditure if the new inventory consists of products that are substantially different from products that the business sold before the entrepreneur purchased it. In order to be granted permanent residency in Canada, participants in the BC Entrepreneur Immigration Program will need to satisfy BC immigration authorities that his or her business will create at least one new job for a Canadian citizen or lawful permanent resident within 20 months of arrival in British Columbia. If the applicant's proposal for a key staff member is approved, however, the entrepreneur will need to create at least three new jobs in the province. The more jobs an aspirant proposes to create, the higher their score will be in the Job Creation section of their British Columbia Investor Program registration. The entrepreneur must be realistic, however, because if they are approved to participate in the Canada investment immigration program, the entrepreneur will be expected to create those jobs as a condition of being nominated for permanent residence. All jobs must be full-time, meaning the employee will work at least 30 hours per week and that the employment will be continuous. The new employees must also work in British Columbia at the primary location of the business. Proposed wages for the new jobs must be consistent with average wages in BC for the skill level of the position created. Independent contractors are not regarded as employees and cannot be used to satisfy the job creation requirement. To be approved for nomination for Canada PR under the British Columbia Entrepreneur Program, the required number of jobs must have been in existence for at least six months. In order to be approved for investment immigration to British Columbia, the entrepreneur must satisfy BCPNP evaluators that the business will provide long-term employment in the newly created job. In addition, an applicant who purchases an existing business must commit to maintaining existing jobs in the business. The entrepreneur must also pay wages to those employees that are consistent with average wages in BC for the skill level of the position created. The BC Investment Program requires the entrepreneur to actively manage the business. This means he or she must be involved in making day-to-decisions about the operation of the enterprise. Management of the business must principally take place at the business location. To assure that the entrepreneur is actively managing the business, the BC PNP requires the entrepreneur to live within 100 kilometers of the business. Registering for the British Columbia Nominee Program is the first step towards participating in the BC Entrepreneur Immigration Program. It is also an important step. Eligibility to participate does not assure that the prospective immigrant will be invited to apply for the scheme. Immigration BC evaluates and scores each registration. Only registrants who receive the highest scores will be invited to move on to the actual application stage. It is, therefore, essential to prepare for BC investor immigration registration in advance. Anyone interested in a British Columbian Investment Visa should first examine the eligibility requirements. There is no reason to register if the individual is not eligible for the program. Eligible candidates will need to submit a business concept (a brief business proposal) with their introductory registration. It is not necessary to prepare a full business plan at the original registration stage, although it will be necessary to do so if the entrepreneur is invited to apply. The entrepreneur should nevertheless lay the groundwork for a business plan by conducting research that will help them develop a solid business proposal. This research should usually include at least one visit to British Columbia. Depending on the nationality of the prospective immigrant, this exploratory visit may require a Canadian Visitor Visa (also known as a Temporary Resident Visa) to be issued in advance of travel. The potential immigrant may want to schedule meetings with business advisers and a business lawyer so that he or she can gain a better understanding of practical and legal obstacles to starting the proposed business, as well as the cost and time it might take to obtain licenses and permits needed to operate the company. Meetings with business brokers and appraisers would also be useful if the foreign investor plans to acquire and improve an existing business. The exploratory visit will also give the entrepreneur the opportunity to decide whether British Columbia is a place where he or she would like to live. An interested candidate must include in their initial BCPNP registration a short description (1,000 to 1,500 words) of the proposed business. This description is provided in the "Business Concept" section of the registration. The Business Concept must explain what the enterprise will do, how it will operate, and why it is likely to make a profit. If the candidate is invited to apply for the British Columbia Entrepreneur Program, he or she cannot submit a business plan for a different enterprise than the one described in the business proposal. If the entrepreneur discovers while preparing the business plan that the company would probably fail or is unlikely to be approved by Immigration British Columbia, it will be too late to change the proposal. The proposal must thoroughly explain why the planned business will be viable. It is also important at this stage to convince BCPNP immigration officials that the business will generate a profit. The more work a BC business immigration candidate does in advance; the more persuasive his or her proposal will likely be. Market studies, an analysis of competing businesses, and a survey of potential locations for the business will help the entrepreneur make a convincing case that the venture will succeed over the long term. The British Columbia PNP also awards more points to Entrepreneur Program candidates who propose complete ownership of a business compared to those who will own less than 100% of the planned venture. Candidates earn points based on whether they have demonstrated experience in operating a business that is similar to the one that they are proposing. Points are awarded for experience as an owner-manager and as a senior manager. The highest point total (60 points) is earned by an entrepreneur who was an owner-manager with direct experience for more than five years. The lowest point total (2 points) is awarded to a senior manager with one year of experience in an unrelated industry. Points between those extremes are based on a selection grid that considers the nature of the person's experience as well as the length of his or her experience. The potential economic benefits of a proposed British Columbia Entrepreneur Investment Program business are scored according to the factors discussed above (see the section titled "Contribution to Economic Growth"). No regional points are awarded for a business that will be established in Greater Vancouver. The maximum number of regional points are awarded when the candidate proposes to locate the startup in a regional district that has a population of fewer than 35,000 people. Varying points are assessed if the candidate proposes to locate the startup in an area with a population of more than 35,000 but fewer than 500,000 people, such as Kelowna or Kamloops. Prospective immigrants may obtain the assistance of another person to help them register for BC entrepreneur immigration. The identity of any representatives who acts on behalf of the registrant must be disclosed. If the representative is compensated in any way, that fact must also be disclosed. Only Canadian lawyers and approved immigration consultants may receive compensation for assisting people in the British Columbia business immigration registration process. To protect themselves from fraud, entrepreneurs should be certain that they engage a Canadian immigration lawyer or immigration consultant who is a member in good standing of a professional organization specified by law. Want to discuss BC investment immigration with a qualified legal professional? Contact our team today. Initial registration for the BCPNP Investor Immigration Program is done online. Only 200 people are permitted to register their interest each calendar month. It may, therefore, be wise to submit a registration early in the month. The candidate must create a profile that includes identifying information, including a physical address and an email address, as well as a telephone number and passport information. Candidates can log onto the BC PNP registration site after creating a password and security questions. Information in the profile can be updated if it changes by logging into the website. Other sections of investor immigration registration cannot be changed after the registration is submitted. After completing a profile, the candidate must complete each section of the registration form for entrepreneur migration. Candidates are not required to complete their Entrepreneur Program registration in a single session. It is possible to save answers in the system and to log on later. Answers can also be changed or updated before the registration is submitted. Once the registration is officially submitted, BCPNP assigns points to each section. Most of the scoring is done immediately by software, but the business concept is manually scored by evaluators. It frequently takes approximately four weeks to complete the business concept scoring, although BC Investor Program processing times can vary. The entrepreneur will be notified of their final score after BC PNP computes it. If the candidate scores the minimum number of points required in each section (other than the business concept), he or she will be directed to a screen that permits online payment of the $300 BC Entrepreneur Program registration fee. After paying this fee, the registration will be formally submitted to BCPNP for final processing, including scoring of the business concept. Immigration British Columbia staff will provide the entrepreneur with a total score after his or her business concept has been fully scored. An entrepreneur who earns the minimum number of points in each section, including the business concept, will be placed in a selection pool of candidates. The BC Investor Visa candidate will receive an email announcement when this happens and can review their final score by logging onto the British Columbia PNP online web portal. The top-scoring candidates in the pool are then invited to apply for the British Columbia Entrepreneur Program. This may happen at any point within six months after the individual enters the selection pool. Registrations expire six months after the candidate receives a registration score. Candidates whose registrations expire are permitted to register for the BC Investor Program again. At this point, candidates may modify their business concept or submit an entirely new business concept and plan to the BCPNP. Registered investors who are invited to apply to the Entrepreneur Immigration Program are notified by email. They must submit a complete investment immigration application within four months of the date they were invited to apply. The application must include an extensive business plan and a verification of personal net worth. The business plan component of the British Columbia PNP Entrepreneur Program is a comprehensive description of the proposed business. Immigration BC expects the business plan not to exceed 8 to 10 pages, although a number of supporting documents may be attached to it. Business planners and lawyers can help BC Investor Program candidates prepare a professional business plan that is optimized for success. As part of the British Columbia Investor Program application process, the personal net worth of the primary applicant must be verified by a qualified supplier. The entrepreneur must pay the cost of this verification and must give permission to release the results of the net worth review to BCPNP evaluators. A qualified supplier is a provider of accounting services that has been approved by BC immigration officials. The invitation to apply includes a list of qualified suppliers from which the applicant may select. The qualified supplier should be selected promptly as it may take up to 60 days to finish the review. The cost of the review is typically in a range of CAD $3,000 to CAD $5,000. The applicant must give the qualified supplier access to all documentation (such as bank statements, investment statements, and proof of property ownership) that the qualified supplier needs to verify his or her net worth. The British Columbia Entrepreneur Investor Program application is submitted electronically. The entrepreneur must pay a $3,500 government processing fee when the application is submitted. An additional $1,000 must be paid if a key staff member is included in your BC immigration by investment proposal. The application will be assessed by PNP BC business immigration staff. If problems are identified in the application, BCPNP will typically give the entrepreneur an opportunity to respond to their concerns. Assuming there is no issue with the entrepreneur's personal net worth and the business plan is acceptable, the entrepreneur will be invited to a personal interview at the British Columbia Provincial Nominee Program office in Vancouver. An applicant who needs a Visitor Visa to attend the interview will be given a letter of support for the Canada Temporary Resident Visa (TRV) application. The interview gives British Columbia business immigration officials an opportunity to ask any questions they might have about the business plan or the entrepreneur's business experience. An entrepreneur who is concerned about his or her ability to communicate in English may obtain the services of a certified interpreter to assist with the interview process. If BCPNP agrees to permit the entrepreneur to participate in the program, it will provide the entrepreneur with a performance agreement. The performance agreement is a contract between the entrepreneur and Immigration British Columbia. The entrepreneur will be expected to satisfy the terms of the performance agreement before being nominated for Canadian permanent residence. After signing the performance agreement, the British Columbian PNP will issue a support letter that the entrepreneur can use to apply for a two-year Canada Work Permit. The entrepreneur can live and work in British Columbia, with the entrepreneur's dependents, while the work permit is in effect. If necessary, the work permit can be extended. Under appropriate circumstances, BCPNP will issue a support letter requesting an extension of the 2-year work permit. The entrepreneur must arrive in Canada, with a work permit, no later than 12 months after being approved for the program. It is best to arrive as soon as possible. Within two months after arriving, the entrepreneur must file an arrival report with BC business immigration authorities. The report will confirm the entrepreneur's residential address in British Columbia and will provide information about whether the investment funds have been deposited into a Canadian financial institution. The entrepreneur will have up to 20 months after arrival in Canada to meet the conditions of the performance agreement. The entrepreneur will need to create the business (or purchase the existing business), operate the business, and create the required number of new jobs within the 20 month period. Within 18 to 20 months after arrival in Canada with a work permit, the entrepreneur must submit a final report in a format specified by BC PNP Investor Program staff. The final report will provide evidence that the entrepreneur satisfied all conditions of the performance agreement. To be nominated, the entrepreneur must demonstrate that the required number of new jobs have been created (and, if applicable, that existing jobs have been maintained) for at least six months before the final report was submitted. After a final report is submitted and approved, the entrepreneur will be approved as a provincial nominee. If BC PNP has concerns about approving the final report, it will attempt to address those concerns with the entrepreneur. Once the entrepreneur is approved as a provincial nominee, the entrepreneur may apply for Canadian permanent residence (Provincial Nominee Class). Canadian immigration authorities may verify that the entrepreneur is continuing to operate the business before granting Canada PR. The authorities will also verify that the entrepreneur is still admissible as a permanent resident. Interested in a confidential consultation regarding the BC Investor Program? Phone our team today or request a call back via our contact form.